As a former care and protection psychologist I was trained to identify, document and assist children who were abused. What I wasn’t expecting to find in modern day Australia, was just how entrenched the systemic abuse of children with intellectual disability was in the state government public schools. It is a very, very sad reality of our time, that South Australian schools are abusing kids with intellectual disability. When a school is actively allowing your child to be abused, it tends to follow a pattern of abuse against the child with disability and against the parent/s of the child as well. If it wasn’t for my own son having Down Syndrome, and he and I being relentlessly abused by the schools, I would have still been pretty well in the dark about it. 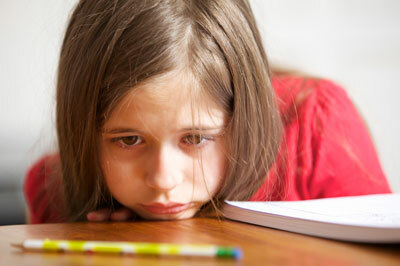 The effect of the abuse can be very damaging, especially at a psychological level for the child. For example, the child refuses to go to school out of fear of physical abuse by students and being treated as worthless by teachers who ignore them – left for hours with nothing to do – clearly violating the guidelines of the Australian Human Rights Commission and many other such authorities around the world. The psychological torture of a child. How has our society allowed this to continue into this day and age? Although the education system in South Australia claims to follow and endorse the principle of inclusion of children with intellectual disability into mainstream public schools, the sad reality is that these public schools, mostly endorse and encourage the removal of children with intellectual disability. Schools abusing kids with intellectual disability is a cost cutting measure in itself, and is also caused by insufficient funds being available to integrate children with intellectual disability. Not one person I know who has Down Syndrome has survived to enter normal high school. Invariably they were subjected to physical and emotional abuse by students, and emotional abuse by teachers and school principals. It doesn’t stop there though, the teachers and school principals then deliberately and intentionally harass the parents of these children with phone calls, often asking for the child to be removed for such and such a reason, and if the parent shows up at the school, such as when walking to a classroom or to pay a bill at the office, they are waylaid by the principal or teacher who then tells them something else has happened which the principal attempts to use to demean the value of the child with the intellectual disability within the school, while emotionally traumatising the parent/s for wanting their child to be included in main steam school. Pretty much I think all we can do is minimize his stress, ensure no more emotional harm comes to him as much as possible, ensure he feels safe, all basic things that should always be in play and hopefully he will improve in his time. Expect nightmares and yelling out in sleep. Expect sleep cycles to get all muddled up. Expect point blank refusal to go to school. Even expect your child may refuse to leave the house as mine did, except for perhaps going to the letterbox. It will affect you – when a child doesn’t go to school, someone has to stay home to make sure the child is safe. Expect your relationship to be altered, mine refused to do anything remotely similar to school work and stopped the bedtime stories and such. In my opinion, never force the child to return to school, the child has to have time and lots of it to recover in. 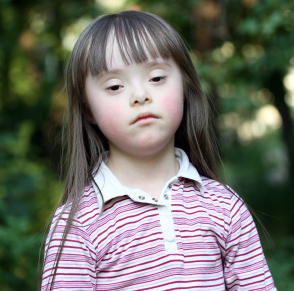 When weighing up the prospect of getting counselling, remember that a non-verbal child with an intellectual disability, such as typically associated with Down Syndrome, is unlikely to benefit from it and you also run the risk that having a counsellor talking to your child about the abuse, may well delay healing, by keeping the abuse in front of the child, reviving the abuse in every session. It took about 1.5 years for my son to feel able to try out another school again. It took that long for him to come out of a very deep depression. It took a lot of visits from the school principal of his new school during the last nine months of that 1.5 years, with two visits a week, to build a relationship with my son so that he felt safe with him. We then used the term going to eg John’s school, rather than the actual name of the school – John is a made up first name of the school principal. This allowed my son to associate the trust and friendship with the principal to transfer to the principal’s school, given that the word school is likely going to be associated with evil in my son’s thinking. This worked, but..
We also came up against other problems. Such as my son being afraid of children in school uniforms, so he hides from such kids, but at the new school he meets kids in uniforms that are friendly, and this overcomes that fear in the new school. Then we find out when we buy the uniform, that he is refusing to put it on and then refused to go to school. Then we realise that the new school uniform that the school recently replaced their old school uniform for, was the same uniform at another school my son was abused in. We got round that one by allowing my son to wear any clothes he wanted. Hopefully he will accept the uniform when he is wanting to be the same as everyone else. We also found that he was not interested in going to school because he had obviously been told by bullies that he was dumb and would never be able to read. So we reassure him he can learn to read and that motivates him to try school. My son wants to learn. After dealing with the school abuse, may be also because he became a teenager, my son also made the decision that if he wasn’t going to learn to talk at school and have lots of fun, then he wasn’t going to go. Gone was the child that would just conform. It makes sense, to talk of a teenager, and it also makes sense that my son would decide for himself the conditions of what school has to give him in exchange for his attendance. It reminds me of a short sci fi story I read decades ago. A robot was built for work in low gravity. On Earth he was clumsy and found moving difficult. When he was moved to his low gravity environment, the robot danced and enjoyed his new found existence. The controllers wanted to order the robot to stop, but the man in charge said “NO” let him enjoy his freedom and it will work hard for us without resentment. Order it to stop, and it will hate us. In a sense, that is my son in his new school, he is there to enjoy himself and learn what he wants, and in exchange, he will gradually do the other stuff expected of him. This is my son dancing with joy because he has found a nice school. Having the old school be involved. In my sons case their was a teacher actively involved in ignoring my son in class, leaving him to stare into space for hours on end during class time, allowing other kids in class to bully him. When you don’t know the full extent of the abuse and who did it, having anyone from the abusing school visit is opening up a can of worms. We also found that having kids from the new school visit had no discernible merit, with my son refusing for the most part to even sit in the same room with them. She had Down Syndrome and attended a primary school that my eldest son was also attending. My son told me about how she was being tormented badly by other students and how the teachers didn’t get involved until after the girl had attacked the abusing children. The girl’s parents were then coerced to send their daughter to a special school as a result of her violent outbursts – these latter bits I didn’t find out about till many years later. An adjunct to this, is that if this family lived in NSW, their daughter could well be denied access to group accommodation in the community because of her ‘violent’ history and instead forced to place her in a nursing home, even if she were just 18 years old. Disgusting, Vile, Power abuse you can ever imagine. It makes me so mad. Please Don’t Let The Silence Continue, We Need You. When my son (the one with Down Syndrome) attended the same school as that girl, but around ten years later, things seemed to be going smoothly until the school principal then started phoning me to come get him many times because of head lice, that he had displayed violence in one instance on one day and scratched a girl – but the principal refused to explain why my non-violent child had become violent. 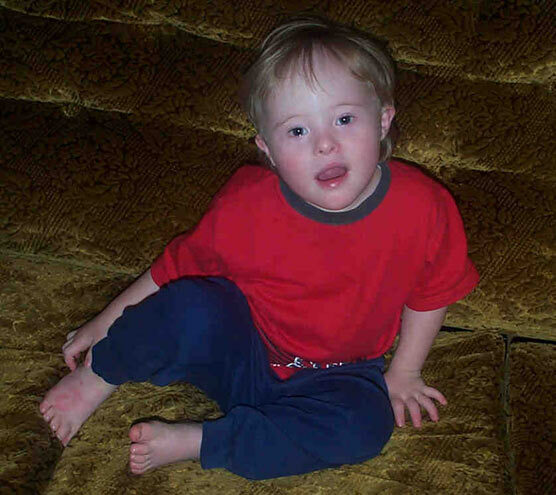 The school principal also stated that he was not prepared to encourage his staff to learn how to help educate children with Down Syndrome as there were more important skills for them to learn and in one meeting he said William wasn’t able to do after school activities as there was no funding available for him to do so. He also said at a latter time that no one wanted to assist William in the after school activities. This is all emotional abuse of parent stuff. You can imagine how hurtful the principals comments were and if it weren’t for Family Advocacy service that I went to, I wouldn’t have realised that I was being emotionally abused, as it becomes very difficult to get ones head around, that the principal that was there for your other 4 children was determined to get rid of your fifth, for no other reason than Down Syndrome. As a parent you are gullible and easily taken in by value statements like there being more important things for the teachers to learn – you think the principal is being honest, not realising the secret agenda is to get your child removed. You know, teachers spend years at university learning to teach ‘normal’ kids, and virtually no time of any significance learning how to integrate ‘normal’ kids who also happen to have intellectual disability. The head lice NEVER recurred once William was in a different school. The one off aggressive incident – after I withdrew William from the school a father and his daughter came to visit us at home and they told us that William had been playing with another boy quite happily, but a girl came up and deliberately took a stick off my son and taunted him with it. That was when William retaliated, he was about 6 years old. The teacher on duty then verbally chastised William and sent him to the school principal, even though the boy he was playing with said that wasn’t fair, William didn’t start it, the girl did. Was the girl reprimanded in any way or punished in anyway? No, she wasn’t. The father who visited us and informed us of this, told us he would happily go round and thump the school principal out if I wanted him too for treating William so badly. That is also the goal of the school emotionally abusing a parent, they are hoping that you will do something that will then empower them to have you banned from the school – they don’t need to prove anything in a court of law. So be very aware of this power trip that schools like to go on. As to the lack of funds for after school activities for William, I complained to the funding agent and was told that the reason why William hadn’t been funded was because the school principal hadn’t put in an application for funding. When I said I would fund William out of my own pocket for after hours school activities, the principal said there was no school employee willing to do so, so I then hired a lovely lady who encouraged William and William enjoyed his time in after school activities more than he ever did. The people who came in to run the activities also was very happy and talkative with the person we hired, and we then found out that William was being smacked by one of the previous school employees when she had taken him to the after hours school activities. I have no reason to doubt it – why would the activity providers or my support worker say that? 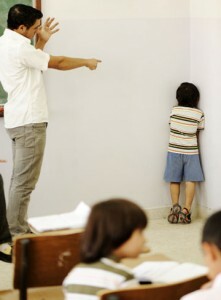 Naughty children in the bad old days were sent to the corner facing away from the class. The incident that was the last straw was when I took William into his classroom as I normally did back then, and found that his teacher had moved him out of the class circle so to speak and had him facing a brick wall on his own. That was his new teachers idea of inclusion. Sickening to me and to other higher up educational personnel in the education department itself – while the regional office and school was proclaiming it acceptable, their own head office was saying it wasn’t. My local member of parliament was involved at my request and he in turn involved the minister for education. The school principal was gone at years end, even though he wasn’t planning to retire for several more years. This whole business of the abuse of William by the school left William emotionally traumatised. Once when he thought I was driving him to that school, he started screaming and crying. He was greatly relieved when he found out he was going to another school. To clarify this all a bit, the school principal also kept complaining to me about there not being enough funding to look after William. This is a very relevant point as it turns out, so please take note – if the funding had been there, William would have had a carer the whole time, but to save money the education department sets limits, so that there is only ever partial funding. The funding issue does not mitigate the abuse though. The school – school principal and teachers – chose the path they took, ignored duty of care and chose to abuse William and myself. She was in the same year level as William, but a different class and I am told by a very reliable source that she was forced out of the school within a few months of William leaving. Many years later, When we eventually moved William to the special school for his own safety, she was there, having never really had the opportunity to enjoy a ‘normal’ school life. So that is three children with DS that were forced out of the same school. How Many More Tears Must I Cry? Please Help. When William moved to his new school, my complaints had resulted in a large amount of state funding being made available, more than the school principal had ever seen for a child with an intellectual disability. It turned out to be a Godsend for them, as they had two students – one with Down Syndrome and one with an intellectual disability – so they all got to share some of Williams funding by piggy backing – which I’ll explain later on. The lad with Down Syndrome was dropped several grades to Williams class, as he was being bullied severely and the school had not stopped it. By dropping to William’s class he could piggy back with Williams funding and be protected from the bullies. Again you can see how important funding is to keeping children with intellectual disabilities safe. He ended up after primary school, being placed in special school because the parents obviously didn’t believe he would be safe in mainstream high school. Their child was sad, refusing to go to school, and did not enjoy his first year in special school, but he eventually got use to it. The lad with just an intellectual disability, jumping ahead several years now, ended up being bullied out of the school. He was spat on multiple times as part of that abuse. The support worker blamed the child for not telling them when the incidents took place, when they should have been making the effort to monitor what was going on and protect the child from the KNOWN abuse that was taking place. In the end his parents gave up on the school ever doing the right thing to keep their son safe and moved him to a private school. 6. William is again abused. The school abuse has devastating consequences, he refuses to go to school for around the last six months or so and is still too afraid to return to school. We nearly lost our child to very deep depression – even wondered about Post Traumatic Stress Disorder – he was afraid to leave the house and was fearful of his teachers. Yes, it was that bad. I don’t understand, why wont the teacher help me like she does with everyone else? The educational psychologist deliberately tried coercing us into moving William into a special school straight away, stating he was left for hours in class looking into space and that the teachers don’t have time for him, they aren’t babysitters to use her words. More emotional abuse to undermine William’s position in the school. During / prior to the drawn out assessment period William was assaulted by another student, this assault took place in the classroom when the teacher was present, but no teacher was apparently aware he was being repeatedly hit. After school William breaks down in the car and tells me he was attacked. I then phone the school principal as soon as I get home. The school principal says it will be looked into. His carer reports to me that she now understood why William was so difficult to teach for the rest of the day. Three girls came forward to the school principal and the carer and said that a particular boy had indeed repeatedly hit him, that they heard William tell him to stop several times, but that the boy kept hitting him. The boy admits to it, gets a verbal warning and the teacher tells me its no big deal and says, well William threw sand in the sand pit (this occurred several days after the assault and was totally a useless preposterous statement to make to a parent whose child had been attacked) – this is further emotional abuse of me, the parent – the teacher clearly makes no effort to reinstate duty of care toward William. When William some time later goes into total school refusal and is obviously going downhill rapidly, the school principal then says the event never happened, it was all a game and William was a willing participant. In other words, as it is now shaping up to have definite legal consequences with the Human Rights Commission, she wants to validate the school and her behavior, so of course, the assault never takes place in her new re-incantations of events. Now lets look at what else was happening. I was getting phone calls almost every day early on, about having to come up and get William before bell time as they had run out of changes of clothing. I could see this was like his first school all over again, so then wrote a letter that clearly stated that there was nothing I could do about this behaviour, it did NOT happen at home and clearly they must be reinforcing the behavior in some way. The behavior immediately stopped at school. Immediately stopped at school. When a meeting was held, the school principal said it was mere coincidence that their intervention strategy worked perfectly at that exact point of my letter reaching them. As someone who understands behaviourism, in my opinion, I am obviously being lied to with 100% certainty. To understand this next bit, first understand that William in non-class times was supported by his carers – adults who were with him always and who liked him. Since the start of the year William had been coming home with scratches on his body, e.g. there was one on his groin that was about 2 to 3 inches long and about 2 to 4 mm wide and it would have hurt like the dickens, when I asked him about it he tells me he was pushed into a tree. I thought it happened in recess/lunch time and was accidentally done in play. In a meeting with the school though, I found out from the school principal that William is very closely monitored in the playground and is only allowed to walk, or play on certain things, due to him having scratched a girl several YEARS previously (but again she cant explain what caused him to scratch her, as both were unsupervised at the time and William isn’t verbal enough to say what the other child did, and it was a lie too, as the principal had approached me since that incident to have William play without support workers, and I was the one who said no, as it was more important for William to have playground social interaction that was safe from my perspective to keep him wanting to go to school). Mind you, the child that assaulted William in the classroom has no punishment at all and the incident isn’t mentioned in the psychologist report. Nice cover up. Anyway, these certain things William was allowed to do while being supervised did not include climbing trees amongst them, as he was being piggybacked with a child in a wheel chair (piggyback means the funding was pooled together to allow both students to share the one carer at the same time, thereby minimising the cost – i.e., one carer was needed instead of two). When my eldest son in Adelaide phones and asks William why he wont go to school, William replies they are mean to me and push me over into the bark. Then the penny drops like a bombshell, this was all happening during class times when the carer wasn’t present, not recess times. One of his teachers openly admitted in the meeting, that she didn’t have enough time to deal with her class and William (a lie, she did have time, she just chose to use her time totally excluding William). Last year when the other child with an intellectual disability was removed from the school by his parents because of the abuse he suffered, the school principal came up to me and said that causes problems as we cant piggy back them together, so William wont have enough funding to keep him properly covered with a carer, but then tells me it will be ok, they’ll work something out – notice again the importance of state funding to inclusion being achieved or failed. With my son no longer going to school, I contact the school truancy person and this gets us to the point where a plan is worked out, but it relies on William leaving the house, so that plan automatically fails. A new plan is suggested by myself, with the only thing being changed being the venue – it happens in the front yard. The plan goes well, William shows real signs of improvement and the school principal after repeatedly promising in writing that the plan would resume as is, changes back to the old plan that wouldn’t work and William has no help from the abusing school at all, with the result that the whole of the 4th term of school is just wasted. Just another act of school abuse against my son. In case you’re wondering, I did raise what was happening with William to his doctor and asked what could be done, after making some enquiries and waiting for people to get back to her, she tells me there is no one in our area that can help – she said the visiting child psychiatrist said he knew of no one either who could help. I contact other agencies as well, such as the Down Syndrome Association, but no luck, I have already implemented everything they can think of. There is just a darn big professional hole when it comes to helping children with intellectually disability with emotional trauma – that is pretty well, universally, the case. Fortunately, although William is still not over the school refusal, he has been out and about and really getting somewhere – physically leaving the house. When I ask him about going to another school, he is very clear that is a no way situation, but he is out and about when he tells me. The school abuse of my son was absolutely devastating on my son and on our entire family. The school can proclaim its innocence as much as it wants, but the fact is my son was abused there and that is clearly shown by his behavior toward school as well as by his own words on several occasions, and it is so obvious the school is lying and re-concocting events in ways to minimize their failure in duty of care. And then there is also the pattern of them abusing me – even the psychologist was emotionally abusing me. By way of an update, it has taken a year for William to overcome his fear of school abuse to the point where he is now spending about an hour or two in his special school once a week. 7. The parents of a child with Down Syndrome in Adelaide is abused by the school principal and coerced into sending their son to a special school. We took William with us when Christine – his mother/my wife – had to have an operation in Adelaide. While in hospital an official church visitor visits Christine and when she finds out we have a child with DS, she arranges for us to meet another family in Adelaide who also has a child with DS. Christine is unable to visit, but I attend with William and over dinner us parents talk about our experiences. Low and behold, the same pattern of abuse appears, but the abuse was mainly aimed at harassing the mother to coerce her to take her child out of school. Eventually it wears her down and she agreed to special school placement, the principal is very happy, mum is feeling like dirt, but the placement cant go ahead because the special school has no vacancy. Hahaha, but the mum is still traumatised by the emotional abuse she had to endure from the school principal. WHY DOES THE SCHOOL ABUSE YOU AND YOUR CHILD? It is an underhand and hidden cost cutting measure used by the South Australian government – I may have oversimplified that, but it is deadly accurate. 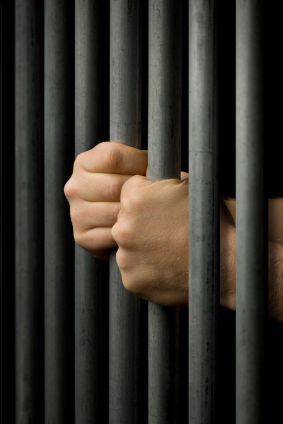 Prison Bars Are What Awaits Us If You Don’t Stand Up. They will either be behind bars or seeing other children behind bars on a daily basis. The education department decided in its highly questionable wisdom to build some areas attached to classrooms out of the same iron bars they use in gaols. In this day and age, there are obviously alternative building materials and designs that are just as strong and do the same job, without the gaol mentality … obviously the education department doesn’t think there is anything wrong with these images that awaits a child heading off to special school. Interesting how the abusers get off scot free, while the abused end up in places with gaol bars. A sad indictment on modern Australia indeed; its education system is a disgrace to inclusion and equality. Several things: Find a good advocate and I would have no hesitation in recommending Family Advocacy. You might also find local advocates specific to your area. Keep well documented records. I like emails because they are a legal document and they are date and timed stamped. You can send them to your advocate too, to keep your advocate well informed and up to date. Next thing – I went to a lawyer to see about getting a class action going, he said that it would be more effective and more immediate to become more political, particularly as the state elections are getting near. That means getting the message out that we want the abuse of our children by schools to stop, that it is unacceptable. Our children are NOT lesser beings to be treated badly, even animals seem to have more rights than our kids. The lawyer also pointed out the obvious, that it all comes down to money. The state is willing to allow our children with intellectual disabilities to be abused out of mainstream schools rather than provide adequate funding for them. He said there is nothing new about this and agreed that this was a systemic problem that was well and truly entrenched in schools. He said you can complain higher in the education department and normally nothing happens, you then take it to the ombudsmen and normally nothing happens. That three or four people every week complain on radio about their child with an intellectual disability being abused in schools – and nothing happens. So, to get this message out, I put up this web page and am paying to get it promoted. The next step : Appears to be to write to every member of state parliament including members of the opposition. The more of us who do this, the more pressure is mounted politically. By writing to newspapers, talking on radio shows or tv, writing to magazines, the more of us who do this, the more we force transparency into this pathetically tragic state of affairs. If you hit or spat on your child deliberately for no other reason than their intellectual disability, deliberately pushed them over, ignored them for hours, let others off who abused them – what do you think the child protection agency would do to you? Yet these same agencies have done nothing to protect our kids when these violent and emotionally traumatizing assaults are occurring on a daily basis. The school abuse has to be stopped and we are the ones who are going to stop it. So stand up and be counted – evil prevails when good men and women do nothing. Albert Einstein put this famous idea another way: “The world is a dangerous place to live; not because of the people who are evil, but because of the people who don’t do anything about it“. Another thing to remember is that our children come first, the only reason the school did so much damage to my son was because i didn’t know he was being abused. Always remember if your child is being abused by a school pull them out and protect them. You can always fight the school later, but your child’s safety must come first. So do the right thing, write to as many parliamentary members you can and include the shadow ones too. Lets make this a victory celebration for those with intellectual disabilities, rather than the gaol bars that now awaits them – literally. Lets give them a fair go. Please note that the mother and child’s name have been changed to protect the child. IF you liked this page you may also be interested in: Hitlerism and Disability TODAY, pervasive Hitler attitudes that still dominates the thinking of many professionals today toward the disabled; When can you sue the school for harming your child? and; the three basic types of schooling you can choose when your child has a disability and; Jacob’s journey in normal school at the start of his schooling – Jacob has Down Syndrome. 3 Responses to "Schools Abusing Kids with Intellectual Disability"
We know now that William is afraid of other students. When walking him to school, the closer other students got to him the more fearful he becomes. He bursts into tears if he is ‘encouraged’ to enter a playground where there are other students. It is absolutely clear that William has been badly abused by other students. It has now been a approximately 1 year since he has attended school. C’est terrible il faut se battre contre ça.En France il y a des classes spécialiser dans les écoles normales, mais trop peu je crois 2 ou 3 sur Annecy.Par contre ils sont bien insérés avec les autres élèves ils partagent des cours et les récréations, ce qui habitue les autres au handicap.De plus la justice française punie gravement toute atteinte physique ou morale sur un handicapé. It is terrible it is necessary to fight against that. In France there are classes to specialize in the normal schools, but too little I believe 2 or 3 on Annecy. On the other hand they are inserted well with the other pupils they share classes(courses) and the recreations, what accustoms the others to the handicap. Of more the French justice punished seriously any physical or moral infringement on a handicapped person. In Australia, protection is there in theory, but government departments do what they can to get round the laws to get what they want. At least in South Australia anyway – even go as far to report a parent for child abuse, when the abuse happened in the school away from the parent. But you try getting protective services investigating a school … now that is just a pipe dream over here. En Australie, la protection est là en théorie, mais les ministères font ce qu’ils peuvent pour contourner les lois d’obtenir ce qu’ils veulent. Au moins en Australie-méridionale en tout cas, même aller aussi loin pour signaler un parent pour la maltraitance des enfants, lorsque l’abus est arrivé dans l’école de la société mère. Mais vous essayez d’obtenir des services de protection enquêter sur une école… maintenant que c’est juste un rêve chimérique par ici.